The RX 490 will supposedly carry a clock rate of 1.2 GHz with 8 GB of HBM2 VRAM for a December 2016 launch. Otherwise, not much about the card is known including its core architecture of choice. While leaks about the supposed RX 490 appeared as early as June of this year, a new report from China is now claiming that we may finally see the card as early as next month. It's still unclear whether or not the new GPU will utilize the same Polaris architecture as the current RX 480 flagship or will simply sport two underclocked RX 480 processors as has been done on previous cards from AMD and Radeon. A move to the upcoming Vega architecture is another possibility, albeit unlikely. 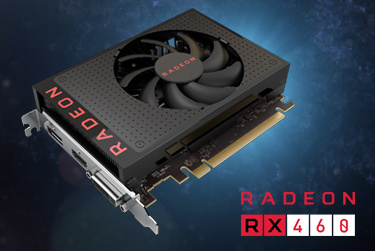 The same report is listing the RX 490 with a core clock rate of 1.2 GHz and up to 8 GB of HBM2 VRAM. The AMD Polaris architecture is the manufacturer's latest design for its GPUs, but the current RX 480 is only comparable to Nvidia's mainstream GTX 1060 Pascal offering at best. A potential RX 490 could bridge the performance gap between an AMD card and Nvidia's flagship GTX 1070 or GTX 1080 just in time for the Holidays. AMD hardware has found success on the current generation of gaming consoles as the Playstation 4 Pro is also heavily based on the Polaris architecture while next year's Xbox is expected to sport AMD's next generation Vega design.